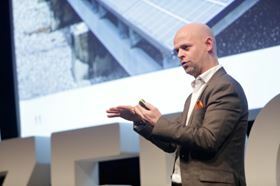 Fredrik Östbye, the head of digital transformation at Grundfos. 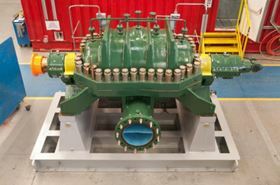 A HPDM pump from Sulzer. The pump that Ebara shipped to Nevada at the company’s Futtsu Plant in Japan. Italy’s Interpump Group buys the Inoxpa Group, the Spanish manufacturer of process equipment and flow handling systems for the food, cosmetics and pharmaceutical industries. Fredrik Östbye joins Grundfos as group vice president and head of digital transformation. Nikkiso Co Ltd enters into an agreement to acquire the business and trademarks of California, USA-based Cryogenic Industries Inc, including ACD LLC, Cosmodyne LLC, Cryoquip LLC and Cryogenic Industries AG and their 18 subsidiaries, in a deal valued at around US$438 million. Flowserve Corp appoints R Scott Rowe as president and CEO. Prior to joining Flowserve, Rowe was president of the Cameron Group, following the merger of Schlumberger with Cameron International Corp.
Wilo USA LLC takes over the operative business of US pump producers Weil Pump Co Inc and Scot Pump Co and the component manufacturer Karak Machine Corp.
Colfax Corp enters into a binding agreement to purchase Siemens Turbomachinery Equipment GmbH (STE) from Siemens AG in a €195 million deal. Sulzer is providing water transportation pumps for two major Sabesp water supply projects in Brazil. 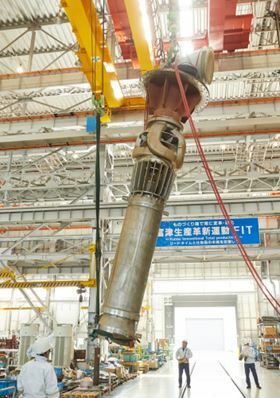 Ebara Corp ships a submersible motor pump with an output of 3350 HP (2500 kW) to a pump station that supplies water to Las Vegas in Nevada, USA. Flowserve Corp enters into a conditional sale and purchase agreement to sell Gestra AG and associated businesses to Spirax-Sarco Engineering plc in a €186 million deal. Franklin Electric Co Inc is acquiring controlling interests in three distributors in the US professional groundwater market – 2M Co Inc of Billings, Montana; Western Hydro Holding Corp of Hayward, California; and Drillers Service Inc (DSI) of Hickory, North Carolina – for approximately US$89 million in the aggregate, including assumed debt.